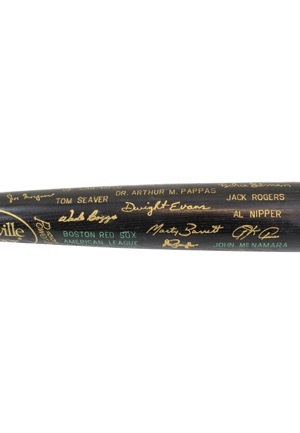 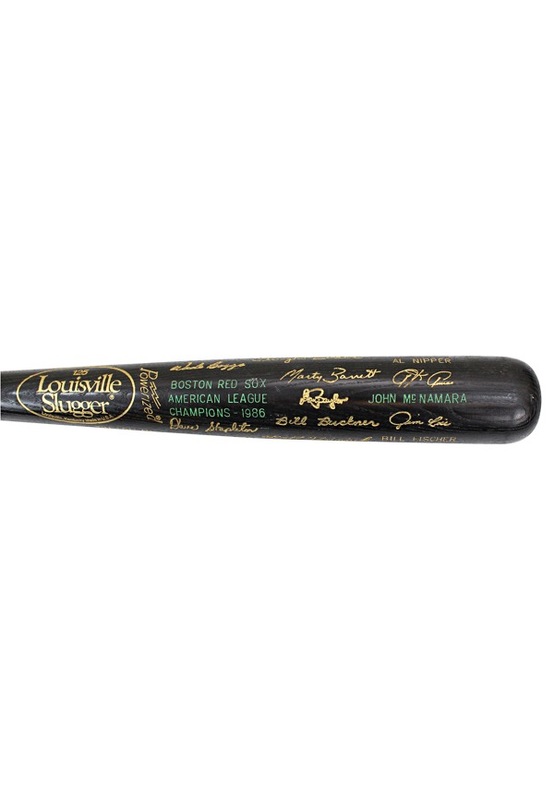 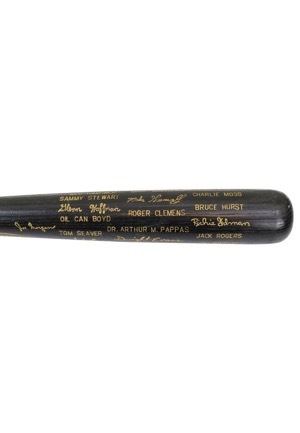 This 35 inch black bat commemorates the 1986 AL Champion Boston Red Sox. 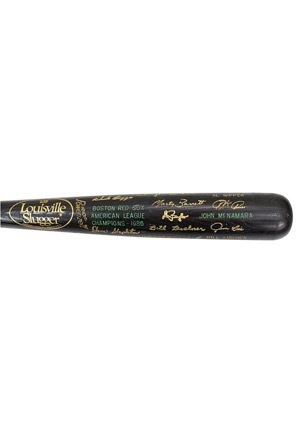 The names of the players from the team are stamped on either in print or their signature. 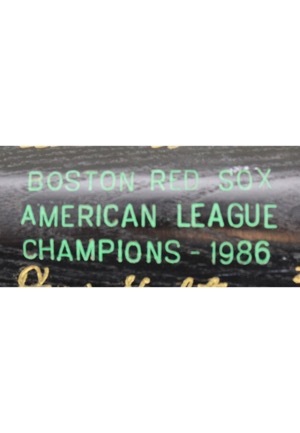 Stamped in green on the front barrel is “BOSTON RED SOX AMERICAN LEAGUE CHAMPIONS - 1986”. 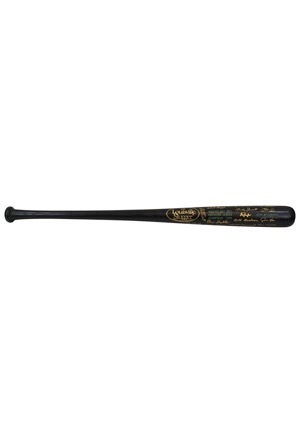 NM-MT condition and presents beautifully.